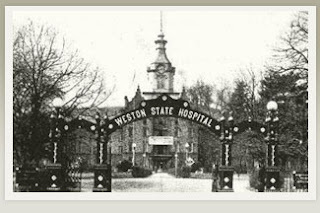 If you follow me on Facebook, you might remember that I did an overnight public investigation at the Trans-Allegheny Lunatic Asylum (known for years as simply the Weston State Hospital) back in January. While I have yet to find any solid evidence produced as a result of our time there, my boyfriend and I had an excellent night of exploring the history-packed location and hearing plenty of interesting stories about its 150+ year existence. Obviously, there were plenty of tales of violent deaths, mostly resulting in potential hauntings, throughout the building, and I was intrigued. I needed to do some of my own research on these tales to see just how much of what was being told was legend, and how much was support by historical documentation. And, while knee-deep in research for one of the more particularly well-known murders....by complete accident I came across ANOTHER murder that was not mentioned on our tour. As a researcher, I've experienced this before---as have many other researchers, both paranormal and historical. It almost seems like we're meant to come across certain information at certain times, almost as if someone is reaching out, guiding us, wanting their story told. I've struggled with whether or not I SHOULD tell this story. There are no known hauntings that I know of associated with it, and since it happened in the 1960s, there are still plenty of family members alive and well. However, since weird little coincidences kept popping up (like finding an article about the murder I had printed out lying in the middle of the floor of my office when it hadn't been there when I left or getting a spam email from a woman with the same first name as the victim), I've decided to go ahead and let this story be known, remaining objective and stating only the facts as are available in public record. This post isn't meant to disrespect any party involved, but to bring awareness that mental illness is a serious issue. It can affect anyone at any time and when investigating places such as TALA, we need to remember the human element and make sure to remain respectful and dignified in our research. So here goes...The Murder of Muriel Creamer. On May 18, 1963, Mrs. Muriel C. Creamer, an African-American housewife from Charles Town, West Virginia, was admitted to the state hospital in Weston. She would never come home. On May 25, she was found deceased in her room on Ward C. It was about 9 pm when psychiatric aide, Wanda Jacqueline Reed, was doing a routine bed check and found the body of Mrs. Creamer in her bed. Earlier in the day, Mrs. Creamer had been strapped to the bed by hospital attendants, bound at the waist and the feet to prevent her from leaving the bed. She had a piece of muslin cloth about her neck. Her death certificate listed her cause of death as homicide by strangulation, noting that she had been strangled with a bed sheet. She was buried several days later at the Johnsontown Cemetery in Kearneysville. But who had strangled Muriel? Some reports say that Muriel's roommate, Wanda Maxine Janes, was either found standing over her body, or at the other side of the room. In any event, when questioned, Ms. Janes freely admitted that she had strangled Muriel Creamer. She claimed that Creamer had "made improper advances" toward her. Wanda herself had just been admitted to the hospital that day. The 34 year old woman was sent to Weston by the Mental Hygiene Commission of Marion County. Although the doctors who referred her to the state hospital for treatment claimed she was friendly, they also noted that she was irrational, considered herself mistreated by everybody, and suffering from a depression complex and ideas of persecution. Upon arriving at Weston, she was interviewed by Dr. H.S. Chu, where it was noted that she was hostile and argumentative. Her behavior became rather wild and she strongly refused to go to the admission ward. Dr. Chu diagnosed Ms. Janes as a paranoid schizophrenic, and she was sent to a seclusion room on Ward C---a ward where the most violent and uncontrollable women were housed. Ms. Janes was admitted around 10 am that morning, and spent the better part of the day in the seclusion space. However, the 'seclusion' space wasn't exactly private. Due to overcrowding, two other women shared the space with Janes, so around 8:30 pm she was moved to an adjoining room that she would share with Mrs. Creamer. This room was 20 feet away from the aide's desk, and no signs or sounds of violence or a struggle were ever heard. An article in the Beckley Post-Herald from June 3rd stated that Wanda Maxine Janes had been charged with murder by the Lewis County prosecutor, William L. Fury. However, I could not find any follow-up as to whether she was actually found guilty and if she was, what the punishment entailed. What IS known, is that after the incident, John Creamer, the executor of Muriel's estate, sued Weston State Hospital for wrongful death. 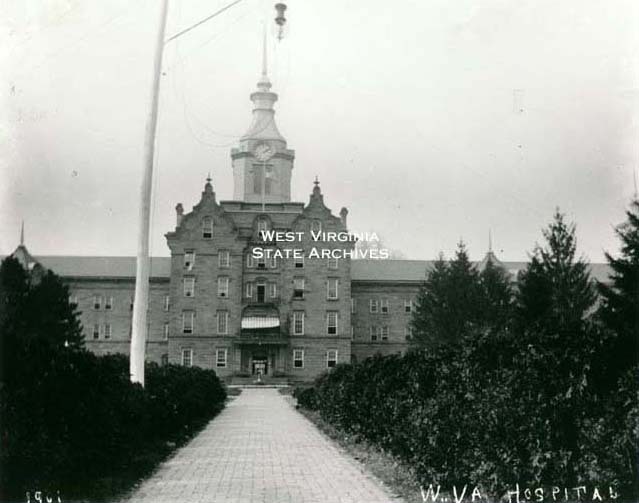 The case was heard by the WV Supreme Court in 1969 and it was found that the hospital was not at fault, as they could not have possibly known that Mrs. Janes was violent and/or homicidal. At some point, Wanda Maxine Janes was released from treatment. She passed away in 1999. She had served with the US Air Force during the Korean Conflict, and thus, was buried with military honors at the WV National Cemetery in Grafton. Although there are no ghost stories or hauntings that I know of associated with this particular incident, Ward C on the third floor is still considered a pretty active location! As stated earlier, this was where some of the more uncontrollable female patients were housed and it is said that staff often had to walk down the hall back to back to prevent a patient from coming up behind them and either attacking or trying to sneak off with their keys. Male visitors are encouraged to hang their keys off their belt loop when walking down the hall---many have felt the tug of someone trying to pull the keys off the loop. Others have heard screams, cries and women's voices throughout the ward.